RHAPHIDOPHORA tetrasperma is a plant name that is a bit of a mouthful. They're more commonly known as mini monstera, mini split-leaf monstera or mini split-leaf philodendron but are actually an Araceae species. Rhaphidophora tetrasperma is in the same plant family as the popular Swiss cheese plant (Monstera deliciosa) and has a similar appearance, with its lush green foliage developing splits and holes. 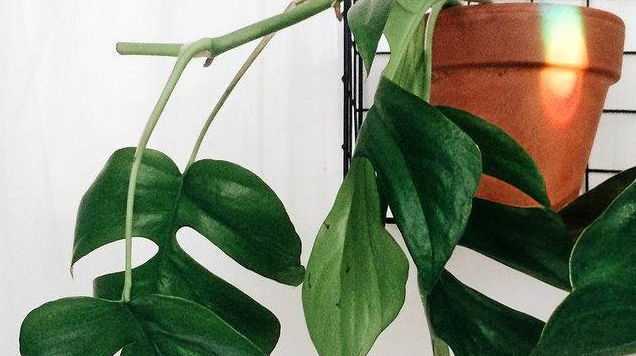 However mini monstera has smaller leaves and will not grow to the impressive size that Swiss cheese plants can achieve, making it a great indoor plant choice if your space is limited. Rhaphidophora tetrasperma can grow quite quickly and enjoys having a support, like a coir fibre stake or bark pole, to scramble up, where it can develop roots from the stem nodes. It can also drape down over shelves or be trained over walls. It does best in a brightly lit room, away from direct sunlight. Use a good-quality potting mix and a pot at least 15cm in diameter with good drainage holes. Keep the potting mix consistently slightly moist but not waterlogged. You can check how moist the potting mix is by gently digging your finger into the top few centimetres of mix. If it feels dry and dusty give the plant a water. If it still feels moist, leave watering for another few days. To encourage lots of healthy foliage, feed potted Rhaphidophora tetrasperma each month between spring and autumn. The plant can be pruned to the desired size if it starts to outgrow its space.